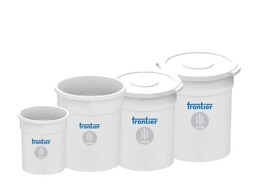 Frontier garbage disposal bins offer a wide range of products specially catering to large kitchens, medical establishments or even general disposal. 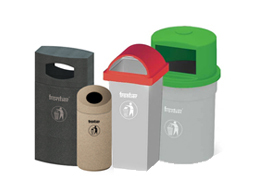 Frontier waste disposal bins are a popular brand to reckon with in this area. Our foot pedal bins are amongst the strongest in the industry giving year after year service without any issues. Frontier community bin with its design has been at the forefront of the industry for many years catering to large garbage disposal needs. Our new series of NRB and OVB offer amazing stone finishes unseen in the industry before. 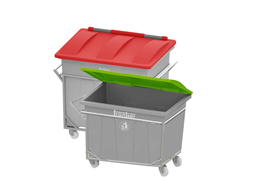 Frontier is your ideal partner as dustbin manufacturer in India. Our litter bins are UV stabilized and made from tough polymer resin thereby providing you with exceptional service life. 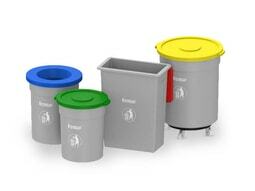 As a leading dustbin supplier from India, we can cater to large volumes in short period of time.